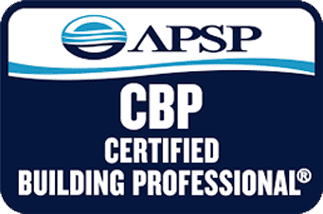 As a select Los Angeles APSP Certified Building Professional, our mission is to create the backyard of your dreams. At Thomas Pools, we want you to enjoy Southern California’s hot summer days in your dream backyard oasis. From basking in the sunshine to enjoying a nice swim, we know that designing and creating the perfect pool or spa can be one of the most rewarding home improvement projects imaginable. Our team of Los Angeles pool specialists pride themselves on helping our friends and neighbors throughout the Santa Clarita Valley, the Greater Los Angeles area, and Ventura County visualize their ideas and make them a reality. We invite you to browse our website to gain insightful information or to contact our professionals at (661) 667-4220 so we can get started on creating your dream oasis. I highly recommend Thomas Pools. Designing & Creating Pools that Wow! The health benefits, entertainment value, and therapeutic advantages of a new pool or spa are unmatched by any other home improvement project. Creating and enjoying your backyard paradise builds lasting memories of fun in the sun and unparalleled relaxation. It also promotes a healthier lifestyle and increases the beauty and value of your home. At Thomas Pools, we stand behind the top-quality work we do on behalf of our customers and we have yet to fail at exceeding their expectations. Our team ensures you get the most out of your investment so your friends and family always have a place to splash. Read more about our company and our services then call us to visit your home so we can assist you in making your dream a reality.